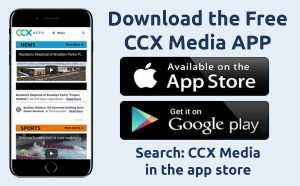 This week on CCX Media’s Sports Jam, highlights from prep baseball, softball, lacrosse, tennis and track and field as teams finally get their spring seasons underway. Plus Jay Wilcox talks with Maple Grove baseball players Jerry Gooley and Hayden Thomsen about the Crimson’s win at Champlin Park and the team’s outlook for the season. Also a look back at a Sports Jam Spotlight story from the spring of 2014 featuring then-Wayzata High School senior Sarah Burnham. Burnham is now a senior at Michigan State University and was named the Big Ten Player of the Year in women’s golf for a second straight season. Plus our Plays of the Week segment.